Looking for more places to find wildflowers? The Authority is featuring a Seniors Hike for Health Series, which encourages seniors to get outdoors and work on mobility to stay healthy. These gentle walks got off to a fantastic start in April, with great weather and attendance! Throughout the series, participants witnessed mineral springs and historical interpretive signage at Alum Rock Park, enjoyed the sounds of fountains while feeding koi fish at Kelley Park, and even slowed down to sit on the benches at Edith Morley Park to take in the native landscapes and an impressive wetland with a small brook and pond that was funded by the Authority’s 20% Funding Program. The series will continue in May as a 5-week progressive cycle, increasing the length each week. The first two walks will also be ADA accessible. We encourage you to join us or share this wonderful series with others! Register today! 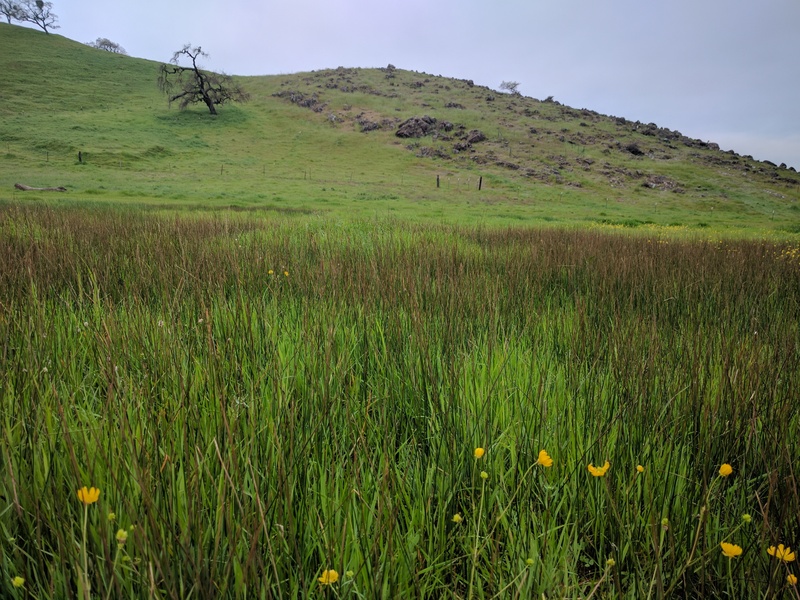 Each Spring, the foothills of Coyote Ridge Open Space Preserve see a magnificent wildflower bloom ranging from bright orange-yellow goldfields to purple serpentine linanthus. 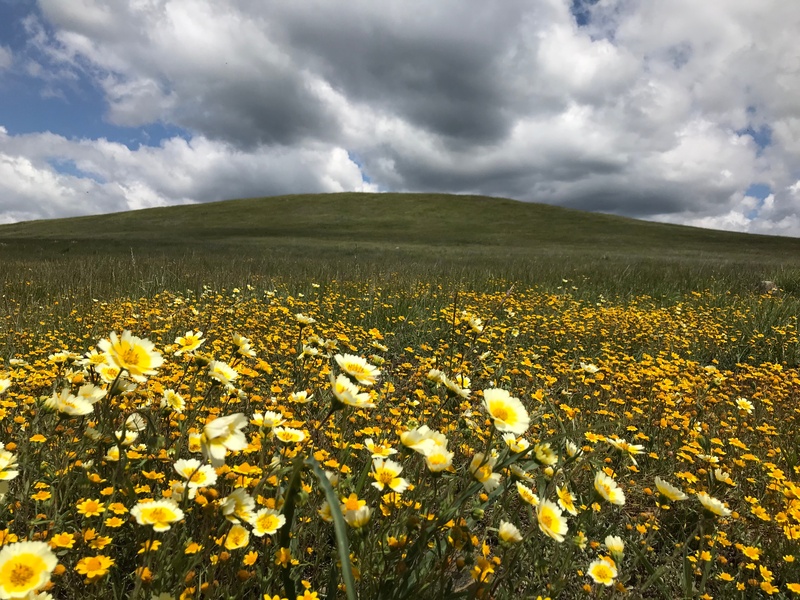 Accompanying this beautiful display of wildflowers, Coyote Ridge also hosts the emergence of the rare and endangered Bay checkerspot butterfly. 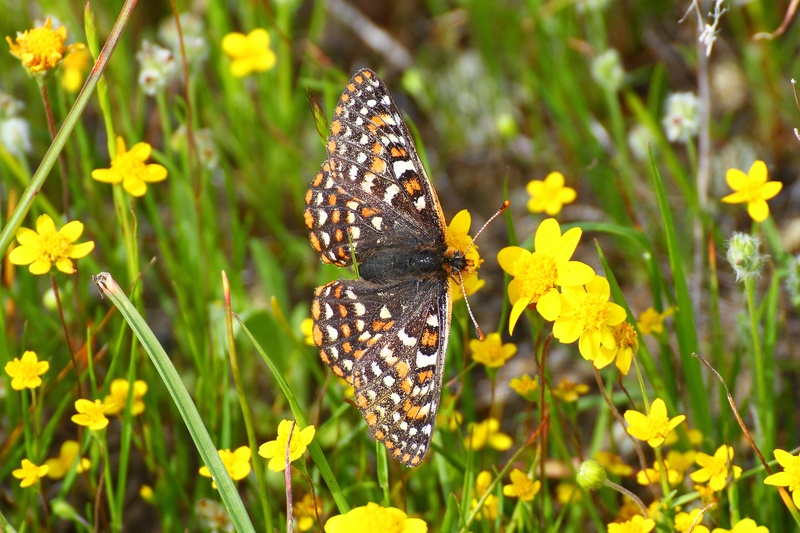 This beautiful orange, black, and white butterfly -- checker-patterned as its name suggests -- is a local celebrity, since its range is largely limited to Coyote Ridge. This unique display of butterflies and wildflowers also brings out our knowledgeable docents and staff to lead members of the public on special hikes for the chance to experience this precious unique environment. This season, now coming to a close, provided over 850 visitors the opportunity to connect with their open spaces and learn about native wildflowers. If you missed Coyote Ridge, don’t worry, there are still wildflowers at our other open space preserves! Download our Come Discover Nature Guidebook and journey out to Coyote Valley, Rancho Cañada del Oro, or Sierra Vista to find spectacular wildflowers and wildlife! Check out this post to see the types of wildflowers you can find, including pictures from recent windflower walks. Some schools are trying to promote nutrition – and academic skills - by getting students outside to garden. 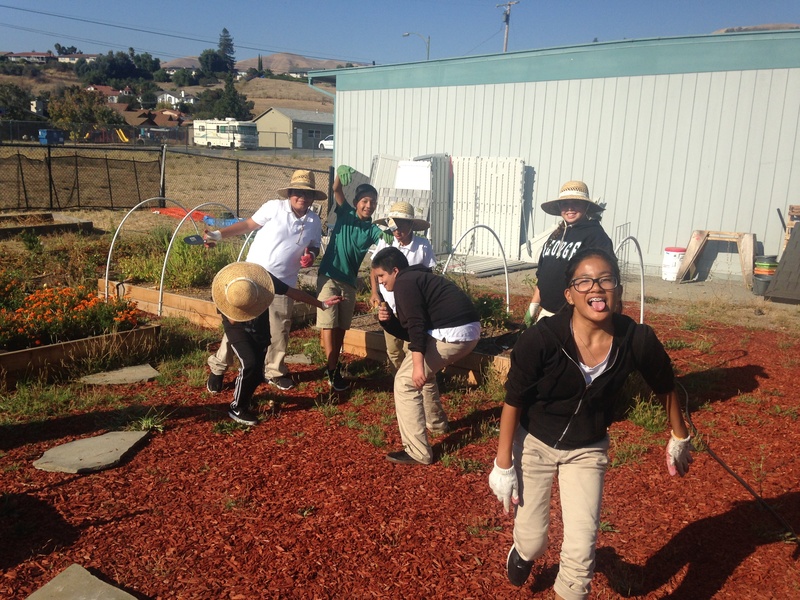 And the school garden classroom at Joseph George Middle School in San Jose is doing just that. Tyler Shafsky is the Deputy Campus Director for Citizens Schools, an after-school program that connects students in disadvantaged communities with volunteer ‘citizen teachers’, and he came up with the idea for the school garden when he decided to teach a gardening class. As he started to get the students outdoors, he knew he was onto something. “You can see the kids light up when they get their hands in the dirt,” Shafsky said. This experiential learning opportunity was powerful, and he looked to get other school-day teachers – in Math, Science, English - to bring the students outdoors for lessons in the garden. The program is using Measure Q Urban Open Space Grant Program funding from the Authority to provide seating space and tables for up to 40 students. The students are even talking to their parents about the things they are learning – including nutrition, culture, and the environment. The students are taking ownership of the space and are eager to help out. Environmentalists have long been eager to clean up our urban streams to make them safe places for fish, wildlife, and our communities. One local environmental organization, the Santa Clara County Creeks Coalition, was organizing volunteer events, hoping to help clean up the stream, but found it challenging to keep up with the trash that gets left along Coyote Creek. 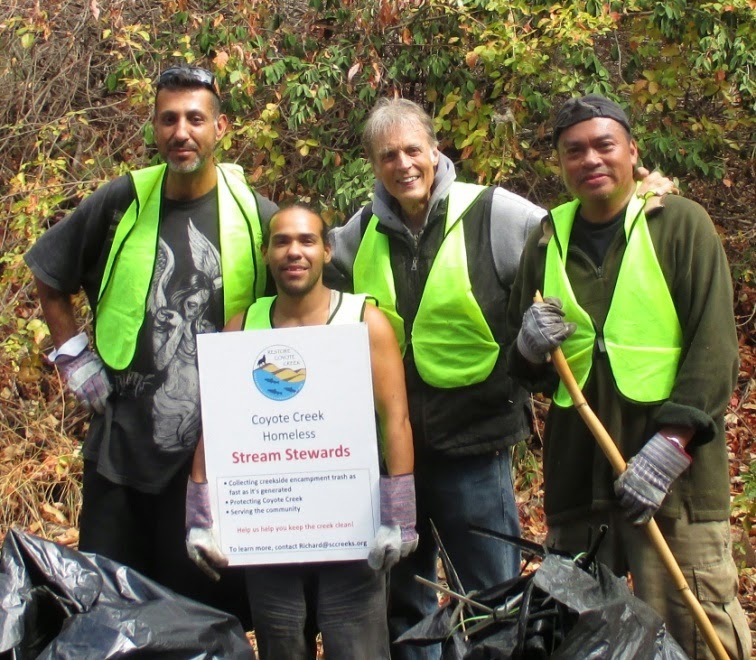 Three years ago, the organization launched the Coyote Creek Homeless Stream Stewards program, to incentivize local homeless residents to help protect the creeks and clean up trash. As part of the program, a staff coordinator, hired from within the community, would hand out garden size trash bags and organize cleanup events. At every cleanup event, creek community members would get a raffle ticket to win gift cards for Safeway or other businesses. The program is supported by the Authority's Measure Q Urban Open Space Grant Program. The Stewards program's goal was to pick up 30,000 pounds of trash – they tripled this goal and cleared almost 100,000 pounds (48 tons) of trash from the creek! I tower in the sky, growing 65 to 80 feet tall in the open space preserves with long limbs reaching out at erratic angles. You can find me along creeks or wetlands from north of the Bay Area to Baja California, in or near the coast range. 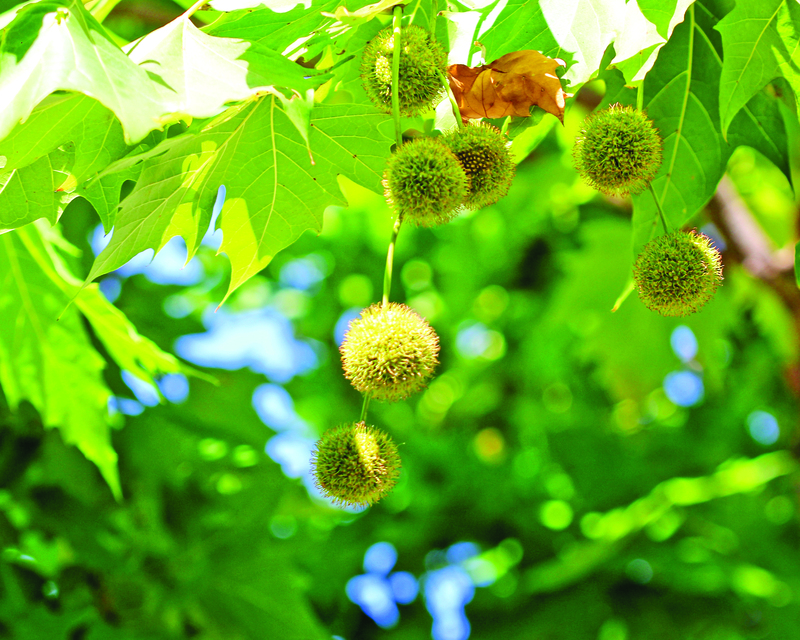 I have both male and female flowers and my female flowers mature into distinctive spiny ball-like fruits. In May of 2001, the Boccardo Loop Trail at Sierra Vista Open Space Preserve was opened. 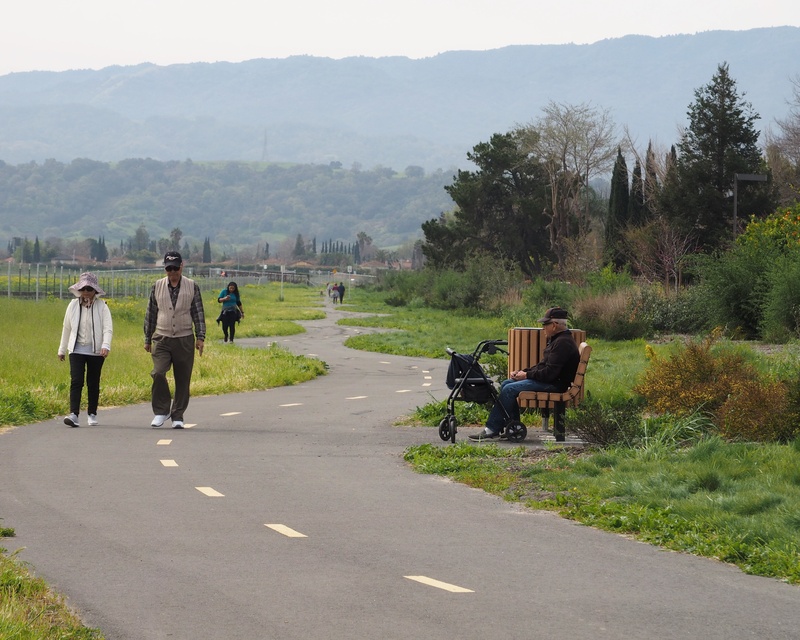 This 3-mile loop trail with sweeping views over the Santa Clara Valley was the first Open Space Authority trail open to the public - a stunning way to kick off our commitment to protecting remarkable landscapes and providing access to the outdoors. In May of 2017, the Open Space Authority purchased a historic 51.78-acre open space property in the Santa Teresa Foothills. This former agricultural parcel has outstanding views across the Almaden Valley towards Mt. Umunhum and is rich in Santa Clara Valley history. It was once part of the old Greystone Quarry, which operated from the late 1800s until 1906. Stone excavated from the quarry was used to construct the current San José Museum of Art, Cathedral Basilica of St. Joseph, and buildings at Stanford University. 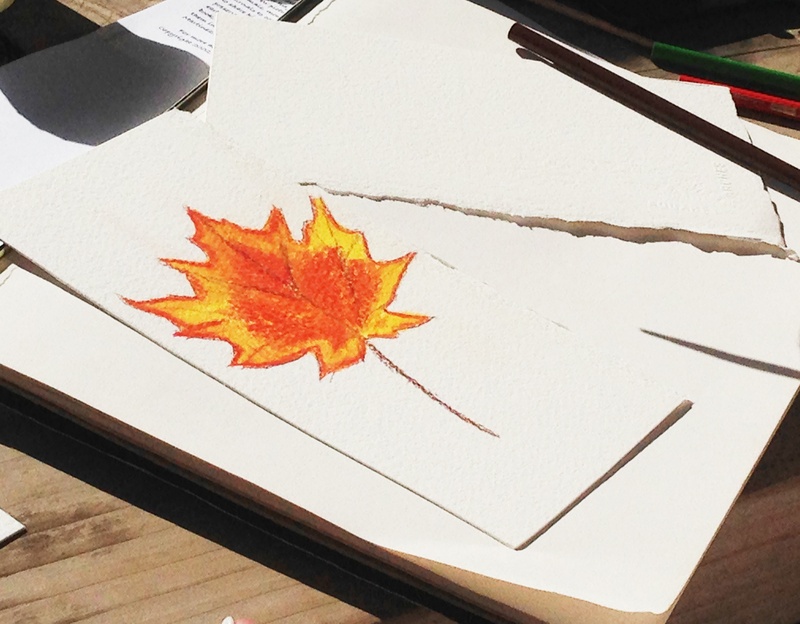 Plein Air is just the fancy term for outdoor painting, so bring your family for a whimsical fun experience. Children of all ages are welcome to paint in this beautiful park. 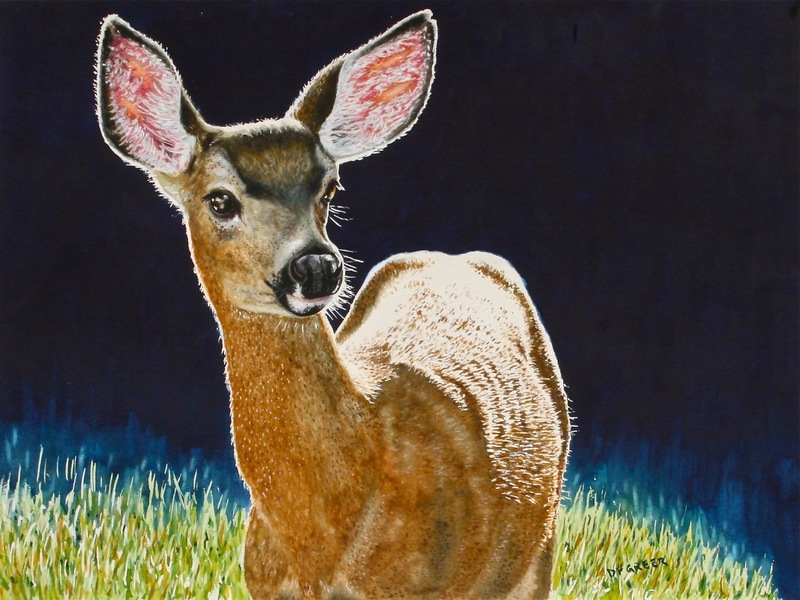 We will show you how to paint animals and do other fun art with water-based paints. We encourage you to create something amazing to reflect your love of the outdoors! Take a tour of Coyote Valley Open Space Preserve and learn about the South Valley Meadow Restoration Project. Visitors will walk to the edge of the meadow and see the progress, hear how the restoration was completed, and then hike up the trail to the overlook for a better view from above. Join us for a picturesque morning out in the preserve. No experience necessary - our guest artists will show you some techniques and let you paint to your heart's content. You will have the chance to meet local watercolor artists and receive guidance in painting landscapes. Registration is required for this event. 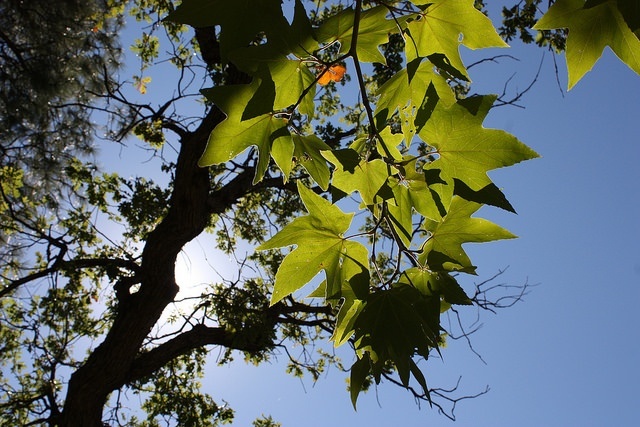 I’m the Western Sycamore tree. A good place to spot me is Rancho Cañada del Oro Open Space Preserve along the creek next to the Llagas Loop Trail. You can recognize me by my white bark with tan and gray patches. My leaves are broad and palm-shaped and they turn brilliant colors in the fall.